Anjan Mukherji taught at Jawaharlal Nehru University (JNU), New Delhi till 2010 when he retired as the Reserve Bank of India Professor of Economic Theory. He has also taught at London School of Economics, Cornell University, and the Universities of Tsukuba and Osaka. 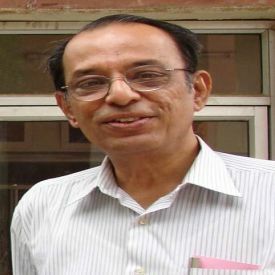 Subsequent to his retirement, he was awarded the Jawaharlal Nehru National Fellowship of Indian Council of Social Science Research during 2011-13. He has been appointed a Professor Emeritus at JNU. His research includes studies on micro-foundations of macroeconomics, non-linear dynamics and complex growth processes, development and governance, and stability of general equilibrium.